In the improvisational and exploratory spirit of jazz, The Horns Project/Horns to Havana was created in 2010 to support the talent and professional aspirations of young Cuban musicians. Ultimately it also works to strengthen the ties between the U.S. and Cuba using shared music traditions. Its innovative three-fold program of instrument repair and training; music education; and cultural exchange provides opportunities for transformative learning and cross-cultural exchange by helping Cuban students and schools overcome limitations created by instruments, resources, economic conditions and/or geography. Objectives are to teach students the improvisational and collaboration skills of jazz and to build long-lasting relationships. The residency is comprised of the following: 1) a teacher’s workshop to address the needs of the local music educators and offer techniques for instructing students in jazz; 2) a student sectional workshop in which faculty will work with students each day in cohorts assigned by instrument; 3) a student ensemble workshop which brings all players together to collaborate as a full ensemble; and 4) a culminating performance by Horns faculty and by the students to close out the residency. The January residency is a precursor to an education and cultural exchange initiative in spring of 2016 to be announced soon. Gary Motley has been selected to be honored as a new inductee into the Alabama Jazz Hall of Fame. Gary’s name will join the esteemed roster of artists whose contributions have left an indelible influence on Alabama’s jazz history. They include W.C. Handy, Erskine Hawkins, Dinah Washington, Nat King Cole and Lionel Hampton. 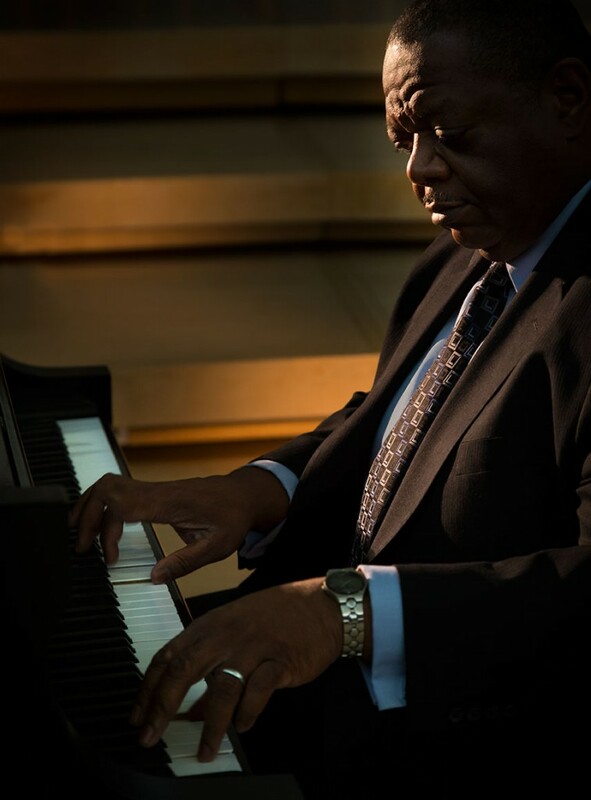 Gary Motley is a pianist, composer, arranger and educator. Recognized by the National Endowment for the Arts, the Great American Jazz Piano Competition, and the American Composers Forum, Gary has been featured on National Public Radio’s Piano Jazz with Marian McPartland. Achievements include duet performances with Dave Brubeck and Kenny Barron, concerts with Jon Hendricks, Eddie Daniels and Benny Golson and Carnegie Hall premiers of his compositions with the Vega String Quartet and Buddy DeFranco. Earlier this year, Jazz Week ranked Gary’s latest CD, Departure in the top 30% of jazz radio airplay in the United States. Special thanks to the G-Stream Media team for getting our new site up and running. Feel free to poke around, stream music and watch the videos. More exciting news coming soon. Stay tuned.